Graphic from the inimitable benbest.com. 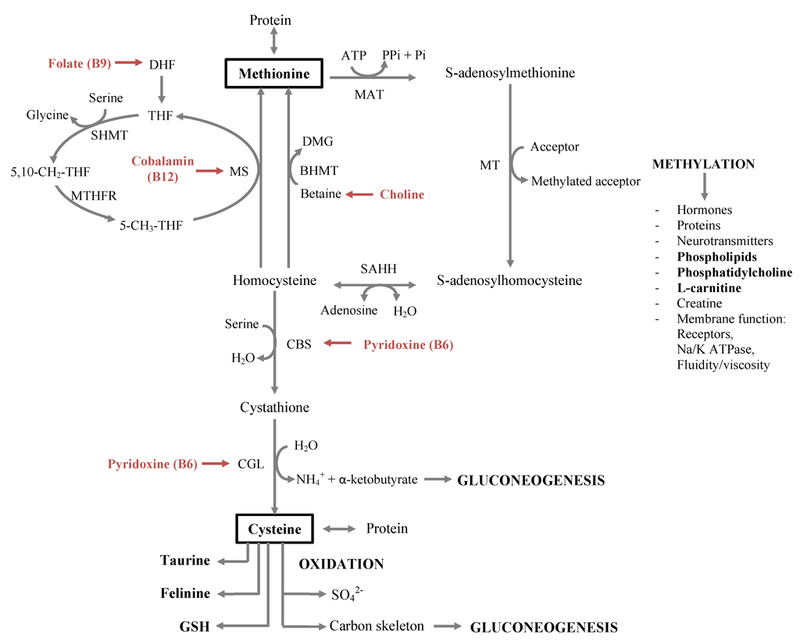 GSH is glutathione. Studies suggest that betaine, along with vitamins B6 and B12 and folic acid, helps reduce higher levels of homocysteine. (This article has lots of citations.) 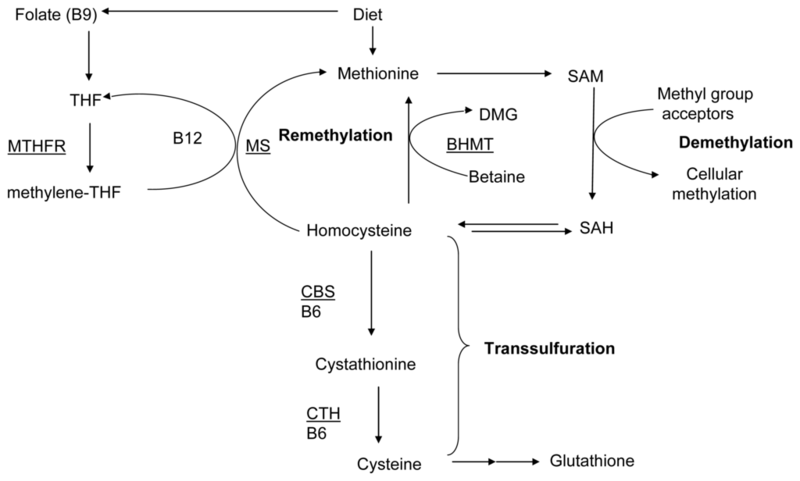 I think there is now good evidence that the problem with methionine is really a problem with homocysteine. Having high levels of homocysteine is related to a higher risk of heart disease and stroke. Food sources of betaine include beets, broccoli, grains, shellfish, and spinach. More info on betaine. 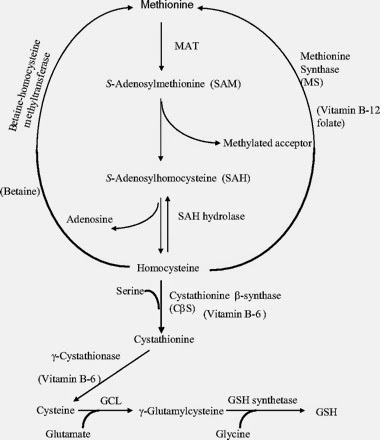 Also note the importance of amino acids like cysteine, glycine, and serine: Cysteine and glycine are converted to glutathione (an important water-soluble antioxidant) with the addition of selenium. Pea protein and collagen are good sources of glycine, but neither contains much cysteine. Serine can reduce homocysteine levels, and pea protein is also a good source.